Stew Cogan is the Immediate Past President of the American College of Civil Trial Mediators (2015 - 2017). He is in his twenty-fourth year as a full-time arbitrator and mediator, following twenty years practicing primarily corporate, business, and real estate law. Stew has arbitrated more than 300 cases and mediated more than 2,500 cases. Among the matters he has handled as a neutral are cases involving partnership and shareholder disputes, banking law, class actions involving various subjects, contracts, business valuation, professional negligence, real estate, construction, wrongful termination, employment discrimination, covenants not to compete, intellectual property, insurance coverage, land use, wills and trusts, and Constitutional Law. 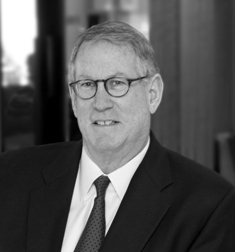 Stew is on the Commercial Panel, the Construction Panel, the Large, Complex Case Panel, and the Mediation Panel of the American Arbitration Association, and is also on the Civil Rule 39.1 Register of the U.S. District Court for the Western District of Washington. Stew has been named a Super Lawyer in the ADR category for the 21 consecutive years from 1999 through 2019. In ten of the last twelve years, he was named a Top 100 Super Lawyer in the ADR category. Stew is listed in The Best Lawyers in America in both the Mediation and Arbitration categories. He was selected by Best Lawyers as the 2016 Lawyer of the Year in Arbitration in Seattle, and was also selected as the 2017 Lawyer of the Year in Mediation in Seattle. He was also named one of the Best Lawyers in Seattle by Seattle Magazine in its last four surveys in 2001, 2003, 2005, and 2007, and one of Puget Sound's Top Business Lawyers by Seattle Business Monthly in 2006, 2007, and 2008. Stew is a frequent speaker on a variety of mediation and arbitration topics. He is a founding member of the ADR Roundtable and a fellow of the invitation-only College of Commercial Arbitrators. He is also an Emeritus Member of The William L. Dwyer American Inn of Court, in which he has been involved since 2006. $720 per hour. Travel time billed at $360 per hour. Travel expenses billed at cost.